The loss of several of all missing teeth can be a painful event – both physically and emotionally. It will be physically difficult to enjoy the things that you once did when you still had all of your teeth, and having no teeth at all can wreak havoc to your emotional well being and self confidence. Dentures can provide solutions for problems that are caused by missing teeth. The dentures can replace the form and function of teeth that have gone missing, so that you can smile with confidence once again. Dentures can also make chewing food and eating much easier to do; the dentures will also allow you to speak in an improved way, compared to speaking without any teeth to help you with. However, there are a few issues with denture wearing that can be difficult to deal with in the long run. Are you interested to know more about what denture wearing will entail, so that you can make the best choices for your missing teeth concerns? Do you want to know more about dental implants? Read on to know more about denture wearing and the advantages of using dental implants for missing teeth solutions. Dentures can provide solutions for problems concerning missing teeth. However, with the passage of time, using dentures can have a few adverse effects that can both be embarrassing and uncomfortable. Dentures have a tendency to become loose as time goes by, causing the dentures to rub painfully against the soft inner mouth tissues. Loose dentures can also cause embarrassing episodes – especially when the dentures fall off when a person speaks or opens his mouth. Denture wearers will also suffer from jaw bone recession or bone deterioration in the long run. 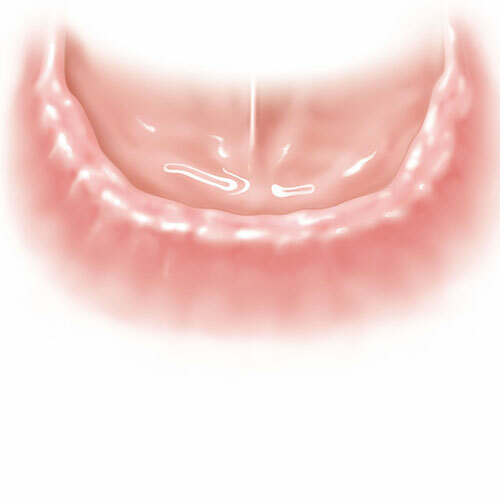 The jaw bone recession can be expected as a result of tooth loss, since wearing dentures does not address the issue of preserving the jaw bone quality. The deterioration of the jaw bone structure can also contribute to the loosening of dentures – and can have an adverse effect on the way your face looks like. Dental implants can be used to support dentures, so that these teeth replacements will not move around inside the mouth. Once the dentures are secured in place with dental implants, denture wearers will not have to worry anymore about uncomfortably loose dentures that painfully rub against their mouths; embarrassing episodes of dentures moving uncontrollably and at the most inconvenient times can also be eliminated when dentures are secured with implants, since they are already firmly anchored to the jaw bone. Jaw bone recession or jaw bone deterioration can be prevented from further progressing when dental implants are used to stabilise dentures. The dental implants will replace the function of the (lost) natural tooth’s root, so that the jaw bone structure is preserved or at the very least, it will be protected from further jaw bone recession or jaw bone deterioration. Dentures that are supported by dental implants provide a much more stable and reliable solution to all teeth missing, compared to the use of dentures alone. The dental implants are embedded directly onto the jaw bone, so that the teeth restorations will not have the tendency to move around inside the mouth; as a result, the dentures will not move around in an embarrassing way, and will not rub cause mouth ulcers or mouth sores to develop (due to the rubbing motion of the dentures against the inside of the mouth). The dental implants will also help in the prevention of bone deterioration, which will eventually occur since all of the natural teeth have gone missing. Dental implant supported dentures can provide you with a better quality of life, and can bring back the bright smiles you deserve. Dentures and dental bridges can also be used to replace the form and function of multiple missing teeth, and these teeth restoration options will be more beneficial if they are supported by dental implants. Dentures have a tendency of moving around inside the mouth with the passage of time, resulting in uncomfortable or painful episodes when the hard material of the dentures rub against the soft tissues of the inner mouth; dentures that move around can also be a source of embarrassment. The dental bridges and dentures can be fixed firmly into place with the help of dental implants, providing a much more convenient and reliable replacement for multiple missing teeth (compared to these teeth restoration appliances by themselves). The dental implants are embedded directly onto the jaw bone where the multiple missing teeth are located, and the dentures or dental bridge will then be attached to these implants. This results to the dentures or dental bridges providing a more stable and reliable replacement to the missing teeth, without you having to worry that the prosthetic teeth will move around or fall out in the most inconvenient ways possible.